The Church and Tea Lounge will be closed on Wednesday 30th January 2019 from 10:00am – 12noon for staff training. We apologise for any inconvenience this may cause. We will reopen as usual at 12noon. 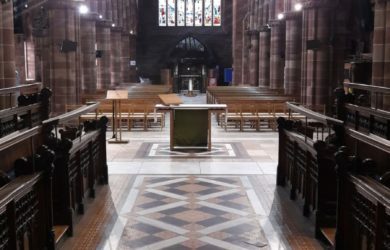 The church is open as usual from 10:00am – 4.00pm today and the Tea Lounge is open as usual from 10:00am – 3.00pm so do please come and visit! Worship Resource Training – 2-5pm, Saturday 9th February 2019. St Martin in the Bull Ring Tea Lounge Open every day, Tuesday to Saturday! 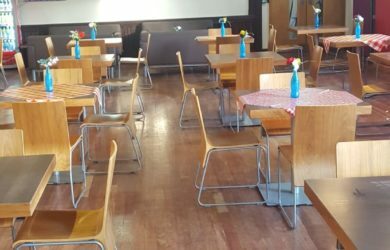 Come and join us in our Tea Lounge this and every day (except Sunday and Monday’s) for a great selection of homemade food and drinks and of course a chance to sit and chat over a cuppa! 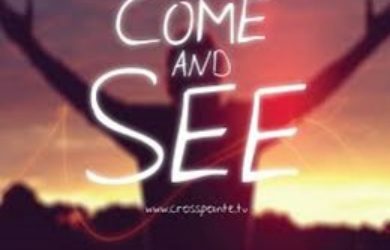 Come in and find out more! 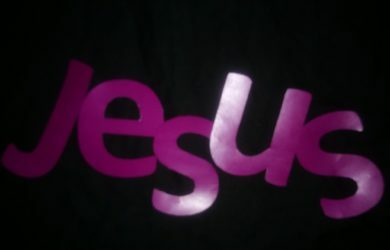 For Everyone! 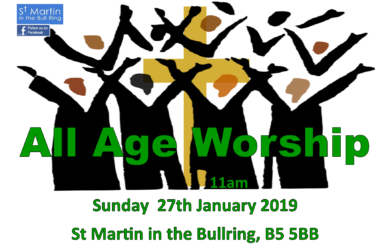 Our first all age worship service of 2019 takes place on Sunday 27th January 2019. 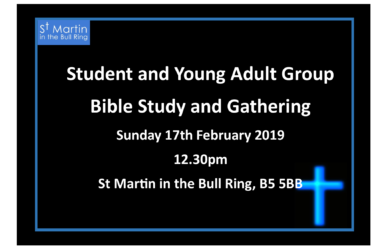 Come and be part of our community as we sing, pray, read the Bible and learn together. Everybody is welcome. 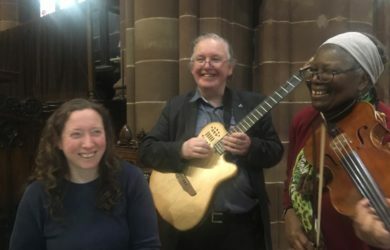 As part of #pray24brum with Birmingham Churches Together which we were delighted to host last year. We are delighted to be leading the hour from 6-7pm on Friday 18th January. Our theme will be taken from Psalm 65 v 11: “You crown the year with a bountiful harvest; even the hard pathways overflow with abundance”. Psalm 65 v11. 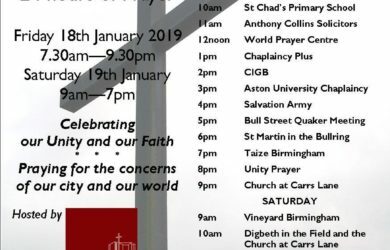 Please support the whole event but particularly come and join us from 6-7pm on Friday 18th January at The Church at Carrs Lane, Birmingham, B4 7SX. 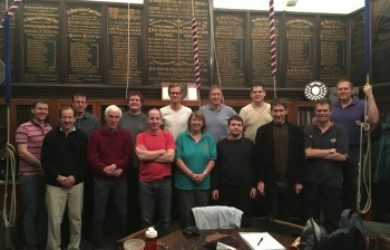 Join us as we host The Alzheimer’s Society and Unite in Song this Christmas and support Carols at Christmas at St Martin’s Church in Birmingham on Thursday 14th December. All funds raised will go the Alzheimer’s Society and support the work they do for people affected by dementia. 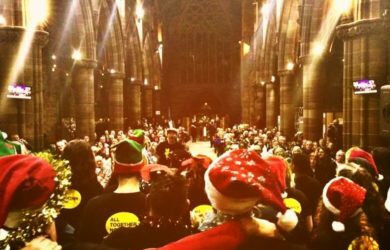 Join us for an evening of sing-along carols, festive treats and readings by some very special guests. Performers include: Magic Voices Choir, Redditch CommunityGospel Choir and Eternal Taal Bhangra Drummers. Doors open at 6:30 and the concert will start at 7pm. All proceeds raised will go to Alzheimer’s Society and make a difference to the lives of people affected by dementia. 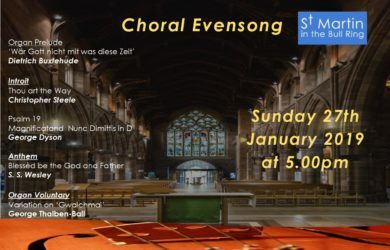 Buy your tickets today at: alzheimers.org.uk/carolsbirmingham or on the door. 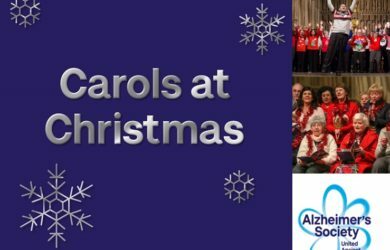 For further enquiries contact regionalcarols@alzheimers.org.uk or call 0330 333 0804.